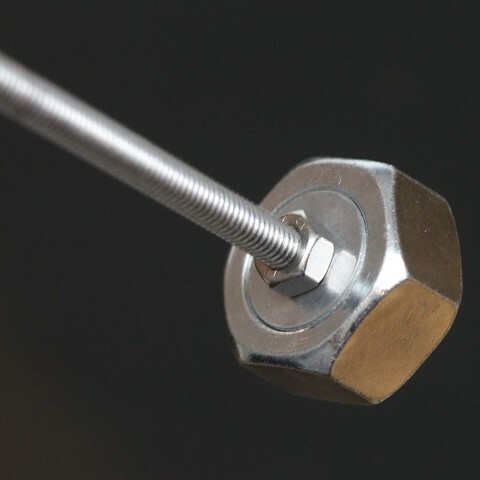 It's a counter weight (~66g) fixed on a M6 threaded rod. You can choose not to close the bottom with a washer and nut to use it as a foot thing. 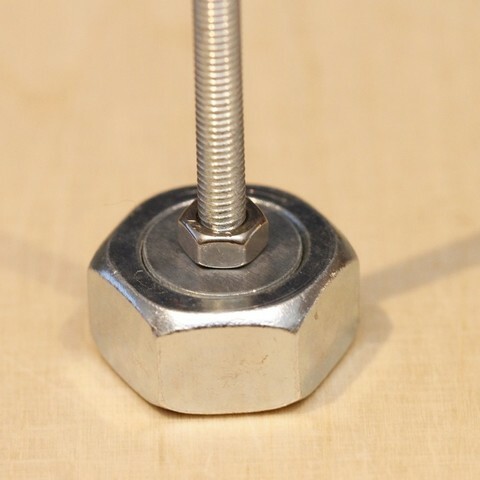 The M6 washer with a diameter of 19.6 mm fits very nice on top of the M20 nut. The printed part will ensure to fix the counter weight centered on the rod. The washers hide the printed part. 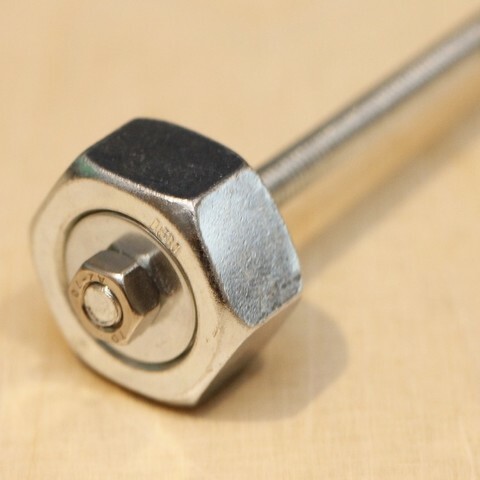 The screw is derived from marcaxi. Print the weight_M20onM6.stl part. Then assemble it as shown in the picture. 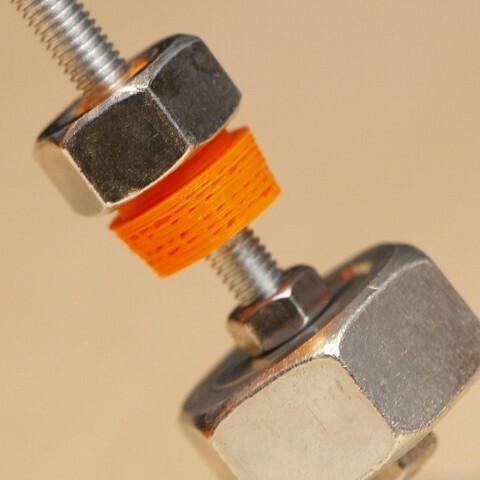 For using the OpenScad file, put file from "Metric Screw Thread Library" in the same directory. 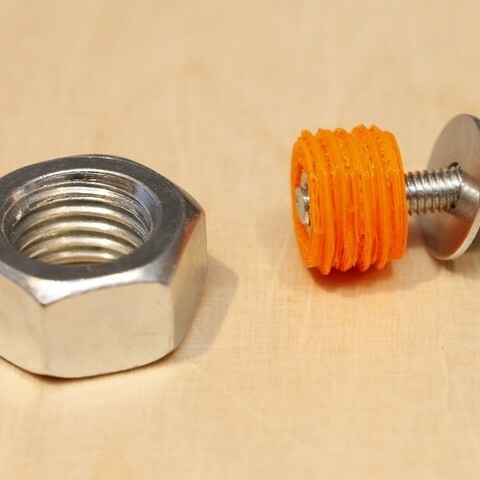 The nut and washers fit together very well. I think, the printed part is not essential. But it's improving the stability. 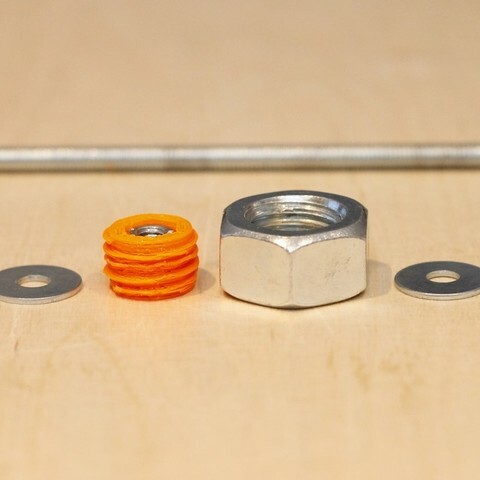 Added a balance weight part for a M12 nut and a simple thumb wheel for M6 nuts. The balance weight is for precise balancing of the rod. The thumb wheel is for fixation of the balance weight.